Scholarly Impact Since 2016, the Law School's faculty have authored more than 100 articles, as well as treatises, textbooks, monographs and numerous university press books. William & Mary rose 16 spots to rank as the 28th most-cited law faculty in the country, according to the latest Scholarly Impact Ranking released in August. The rankings study, conducted by Professor Gregory C. Sisk and his co-authors, cited William & Mary as one of four law schools achieving “dramatic rises” in the rankings. Read the study here. For the most recent iteration of the study, the authors compiled a list of all law schools that had ranked at or near the top 70 in the earlier two studies. They then collected the names of tenured law professors at each of the schools and searched for citations of their scholarship in English language law reviews and journals from 2013 to 2017. The study involved examination of “more than half-a-million citations by thousands of law professors at nearly one-hundred law schools,” according to the authors. The study included data on each of the ranked schools, including each school’s mean, median and weighted citation scores. William & Mary was the 22nd most-cited faculty by median. This indicates that William & Mary’s strong performance was not due to only a handful of highly-cited faculty, but instead a consistent performance by many faculty. The study listed each law school’s ten most-cited tenured faculty members. William & Mary’s list of most-cited tenured faculty included (in alphabetical order) Professors Jeffrey Bellin, Aaron-Andrew Bruhl, Evan Criddle, Neal Devins, Adam Gershowitz, Tara Leigh Grove, Laura Heymann, Paul Marcus, Alan Meese, Nathan Oman and Timothy Zick. In citation studies, it is common for the most cited faculty to be senior professors because they have had many years to write articles that can be cited. William & Mary’s list of highly-cited faculty is notable for its relative youth. More than two-thirds of William & Mary’s most cited faculty are under the age of fifty. Half of the faculty on the list were hired laterally in the last decade. 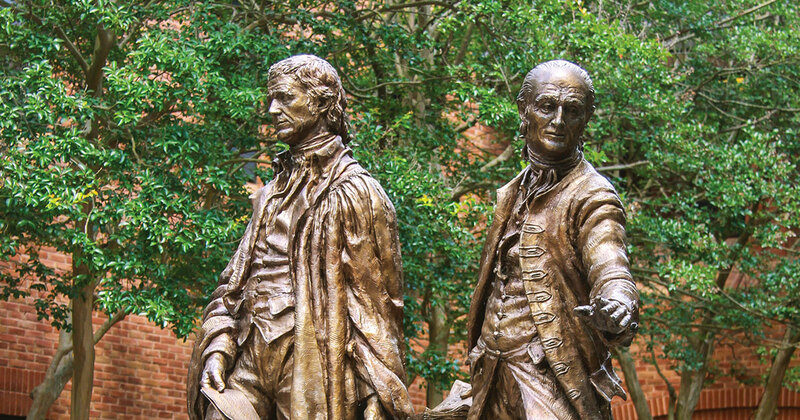 William & Mary’s list of highly-cited faculty is also notable for the breadth of subject matter expertise, including antitrust, civil procedure, commercial law, constitutional law, criminal law, federal courts, intellectual property, international law, and judicial decisonmaking. William & Mary’s rank as the 28th most-cited faculty is not surprising given its prolific faculty. Since 2016, faculty have authored more than 100 articles, as well as treatises, textbooks, monographs and numerous university press books.